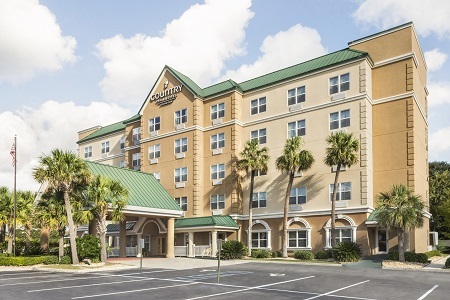 Check in with confidence at the Country Inn & Suites® by Radisson, Valdosta, GA, where you’re greeted by our hotel’s friendly staff and clean, comfortable rooms and suites. 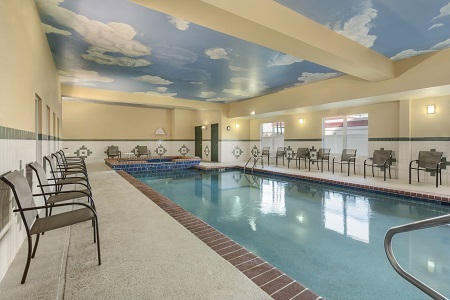 Our refreshing indoor pool and hot tub provide appealing ways to relax after a day exploring Wild Adventures Theme Park. 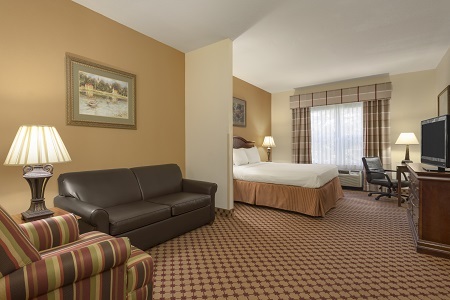 One-bedroom Suites make family, group or corporate travel more convenient. Upgrade to enjoy two TVs—one in a separate bedroom and one in a sitting area furnished with a queen sofa bed. 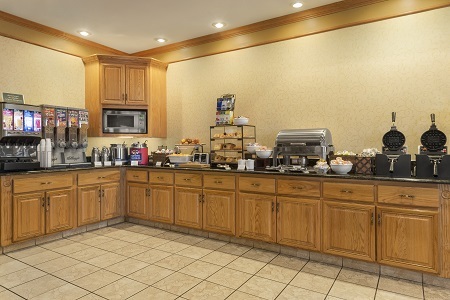 Visit our hotel’s dining room to indulge in waffles, yogurt, freshly brewed coffee and more at the free, hot breakfast. Lunches and dinners are a snap at Applebee’s or Tandoor Fine Indian Cuisine, both a short walk from the hotel. Check out additional nearby restaurants. Valdosta Mall – Make your way through this open-air retail hub located just half a mile from the hotel. The mall features clothiers like American Eagle Outfitters and shops like Ulta Beauty and Bath & Body Works. Valdosta State University – Visit students or admire the Georgian and Spanish Mission architecture on the university’s picturesque campuses. The Main Campus features the unique Whitehead Camellia Trail, where you can enjoy more than 1,000 flowering shrubs. The North Campus is home to the Billy Grant Field baseball and softball complex. Wild Adventures Theme Park – This family fun spot appeals to all ages with its old-fashioned Ferris wheel and wild wooden roller coaster. Slide through water park lagoons at Splash Island, or ride past exotic animals on the Safari Train. 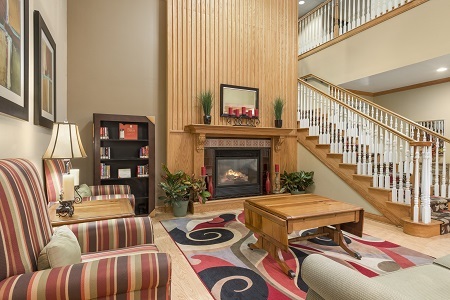 The hotel is convenient to area businesses and just seven miles from Valdosta Regional Airport (VLD). Our well-appointed meeting space accommodates up to 70 people and includes comfortable seating and free Internet.